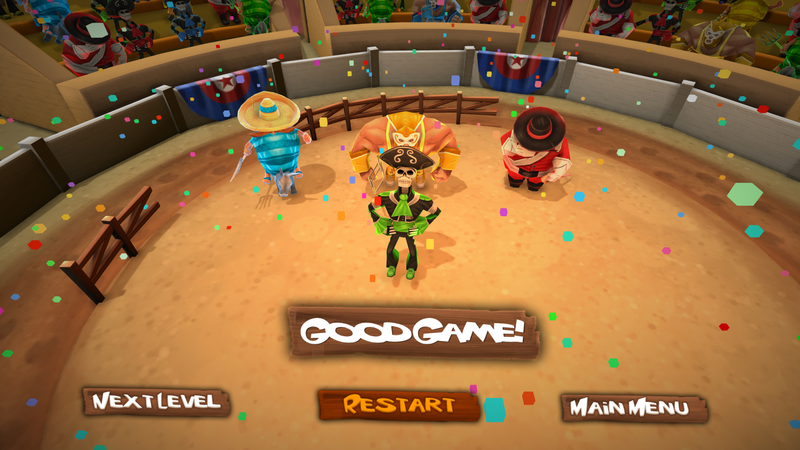 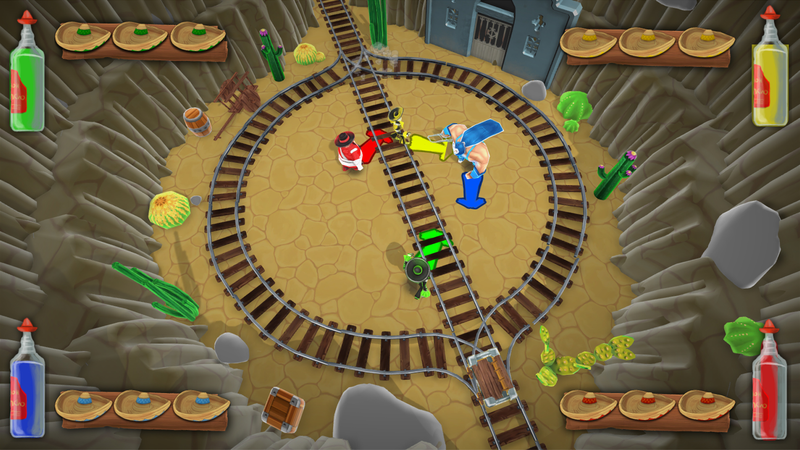 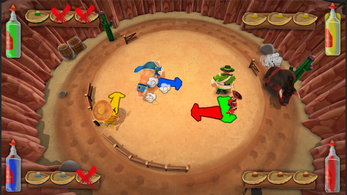 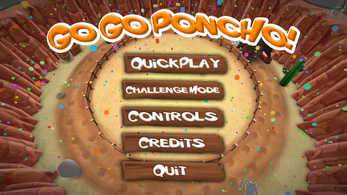 Go Go Poncho is a Local 4 player brawling game. 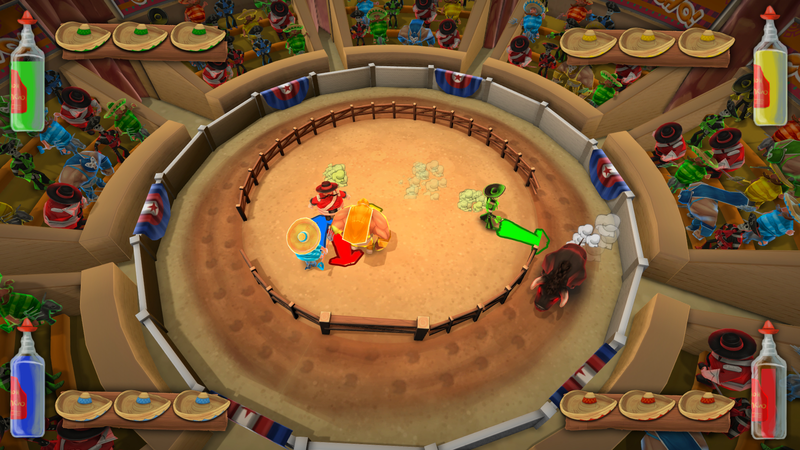 The goal is to hit each other out of the ring. 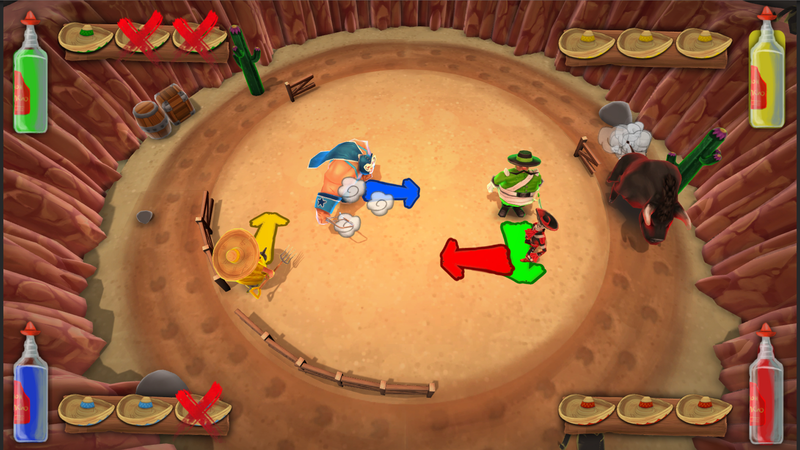 The last man standing wins! 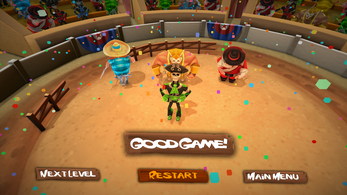 The game features 4 awesome characters to play with! 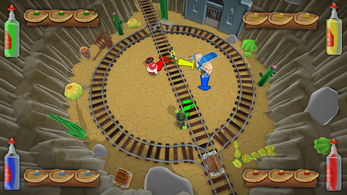 7 different levels each with its own unique feeling! 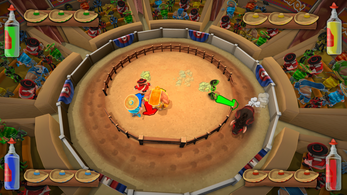 Done with brawling? Try the Challenge mode with 4 different mini games to really test who is the king of Go Go Poncho!